Random House. 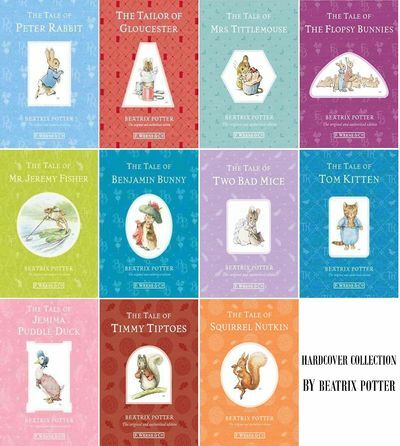 The Tailor of Gloucester; The Tale of Benjamin Bunny; The Tale of Jemima Puddle-Duck; The Tale of Mr. Jeremy Fisher; The Tale of Mrs. Tittlemouse; The Tale of Peter Rabbit; The Tale of Squirrel Nutkin; The Tale of Timmy Tiptoes; The Tale of Tom Kitten; The Tale of Two Bad Mice; The Tale of the Flopsy Bunnies . New.